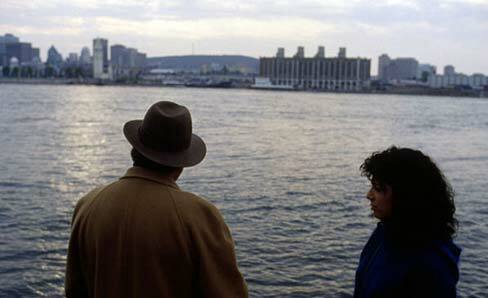 A Canada-France coproduction (1998) - 100 min. - 35 mm - colour. Starring Victor Lanoux, Mirella Tomassini, Pascale Montpetit, Henri Chassé, Dino Tavarone and Jude-Antoine Jarda. Myriam, a young Sephardic woman in Montreal, sets out to make a new life for herself after a relationship ends. At the same time, her father (Victor Lanoux) comes back into her life after a 20 year absence, and she meets Lou, a young squatter and ramer. Fine drama and humor are interspersed with meditative reveries on her childhood in North Africa.